A comprehensive understanding of how rapidly changing environments affect species gene flow is critical for mitigating future biodiversity losses. 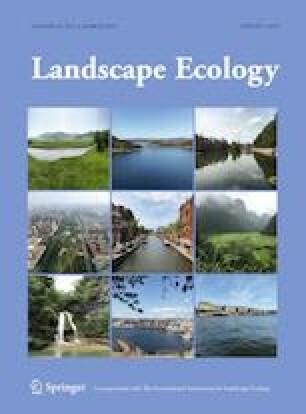 While recent methodological developments in landscape ecology and genetics have greatly advanced our understanding of biodiversity conservation, they are rarely combined and applied in studies. We merged multifaceted landscape habitat modelling with genetics to detect and design biological corridors, and we evaluated the importance of habitat patches to test corridor efficacy for gene flow in a fragmented landscape. We examined an isolated population of an endangered umbrella species, the capercaillie (Tetrao urogallus), in the Western Carpathians; they have experienced habitat deterioration and accompanying population declines in recent decades. To detect spatial patterns of genetic distances, we combined and optimized resistance surfaces using species distribution modelling, structural and functional connectivity analyses, multivariate regression approaches, and Moran’s eigenvector maps at hierarchical scales. Larger habitat patches had better gene flow among them, and we confirmed a broken metapopulation network characterised by a pattern of isolation by the environment. Distance to human settlements explained landscape genetic patterns better than other environmental and landscape features, MaxEnt resistance, Conefor resistance surfaces, and the pairwise Euclidean distances among individuals. The closer individuals were to settlements, the more pronounced were the effects of logging and other negative factors on their connectivity. Merging multifaceted landscape habitat modelling with genetics can effectively test corridor efficacy for gene flow, and it represents a powerful tool for conservation of endangered species. The online version of this article ( https://doi.org/10.1007/s10980-019-00789-9) contains supplementary material, which is available to authorized users. The authors wish to express thanks to numerous colleagues who assisted us with sampling, in particular F. Zięba and P. Krzan from Tatra National Park (Zakopane, Poland), P. Armatys from Górce National Park (Niedźwiedź, Poland), and conservationists, foresters, and volunteers from Slovakia. We are grateful to G. Baloghová and D. Krajmerová for assistance in the laboratory. The work was financially supported by the VEGA - Scientific Grant Agency of the Ministry of Education, Science, Research and Sport of the Slovak Republic and Slovak Academy of Sciences [Grant Number 1/0303/12] and VEGA [Grant Number 2/0077/17]. M. Mikoláš was supported by the Czech University of Life Sciences, Prague (CIGA No. 20184304) and by the Institutional Project MSMT CZ.02.1.01/0.0/0.0/16_019/0000803. We are also grateful to Rob Morrissey (Branch Scientific Editing) for help with the language to strengthen our manuscript.